When your commercial or industrial overhead door equipment is down so is your business. Whether you need quality repair solutions. 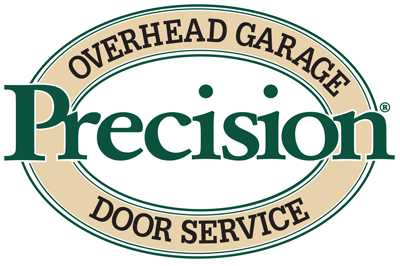 a new part, or want a certified technician to come out and get your damaged equipment up-and-running in no time, you can count on Precision. Accidents and component failures happen and we are here to help. We stock a wide variety of commercial and industrial replacement parts and our service trucks are fully stocked to eliminate extra trips and speed your repair. Some door system components are custom manufactured and must be special ordered. You can rely on Precision for fast delivery and quality components. (Ask about our Hardware Stocking Programs for even faster service.) Most replacement components are O.E.M. parts, but when they are unavailable, we customize your order and provide you with an equivalent or better door component. At your service 24-7-365. When you have an emergency situation, you can rely on us to be there for you. You can reach a live person at any hour to help solve your problems. Need ADA approved automatic doors installed or serviced? We are AAADM certified and will not only provide the necessary inspections but provide installation and repairs as well. Ask about our Scheduled Maintenance Programs.